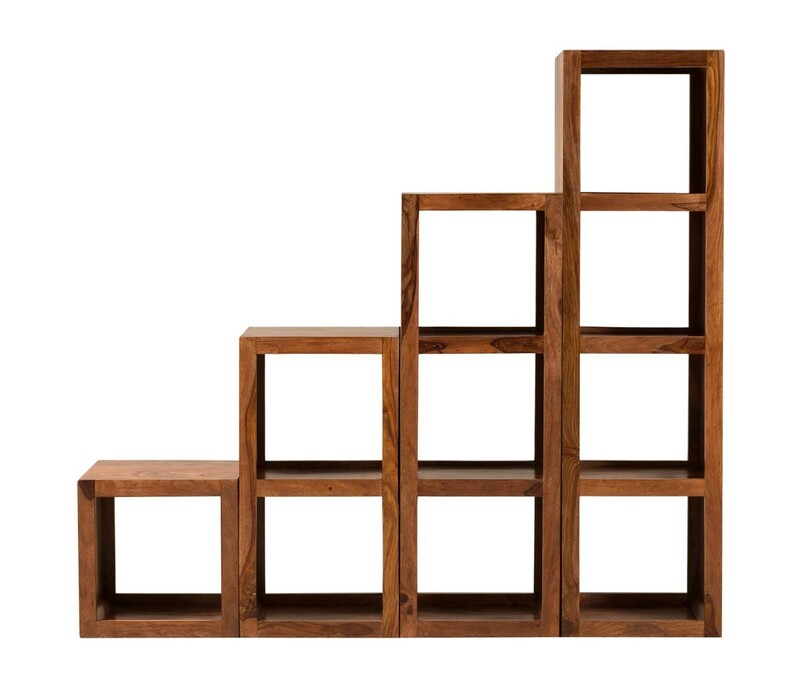 A set of four connected cubes create a large and useful storage stack. 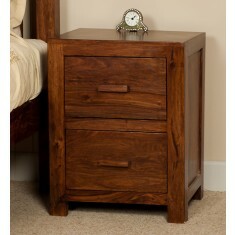 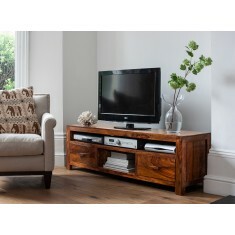 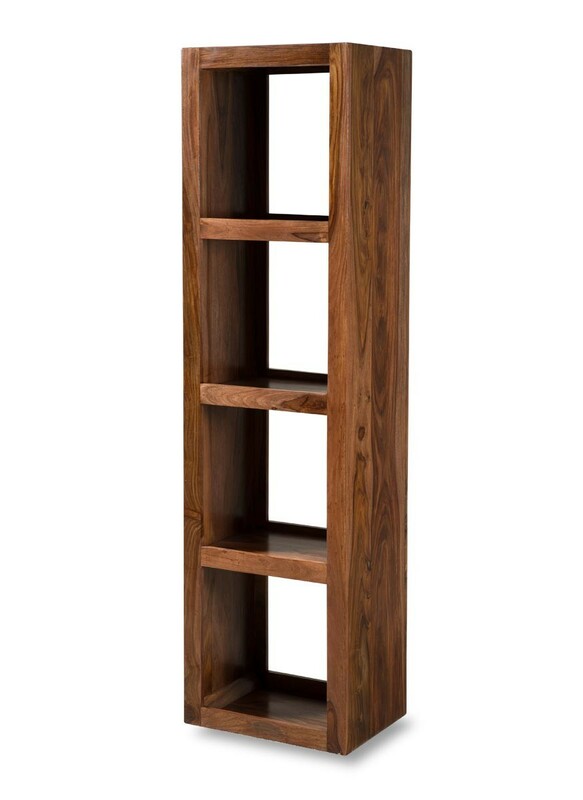 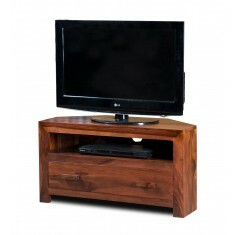 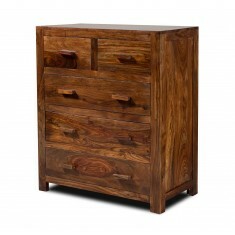 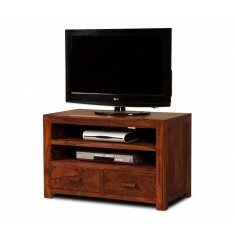 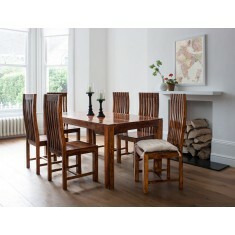 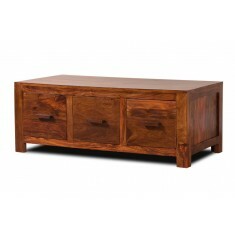 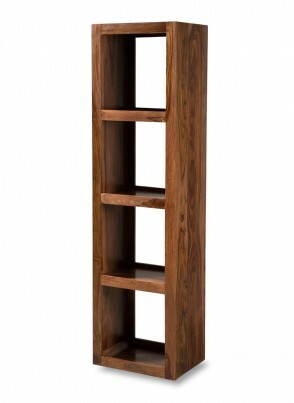 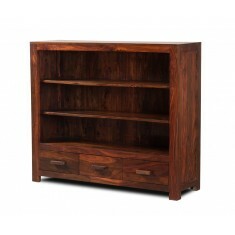 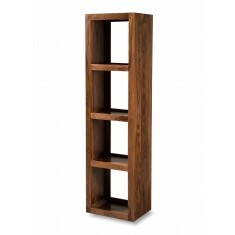 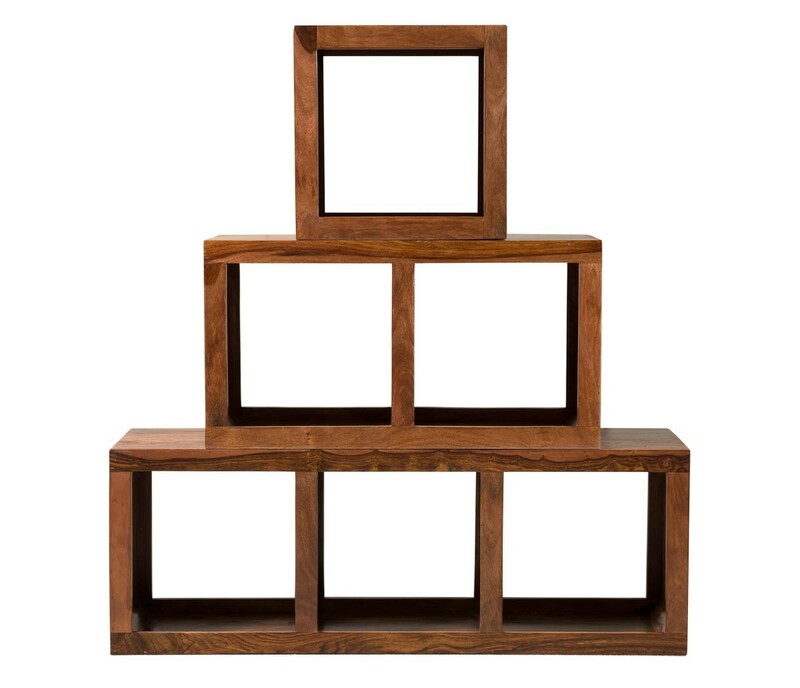 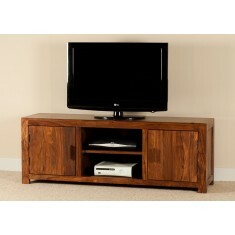 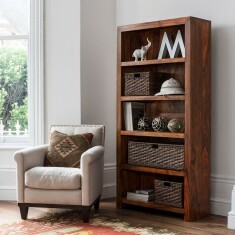 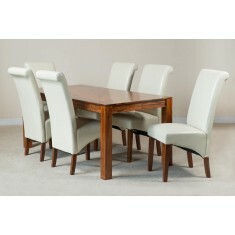 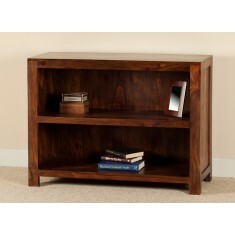 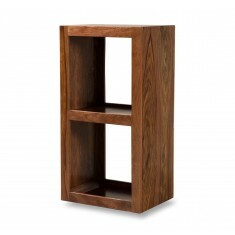 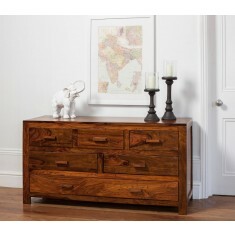 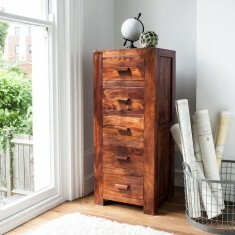 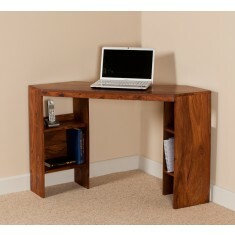 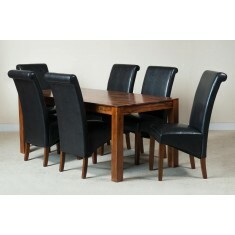 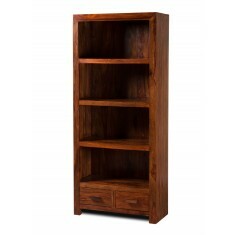 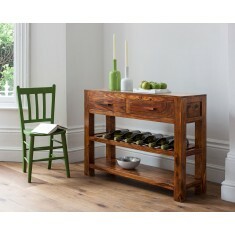 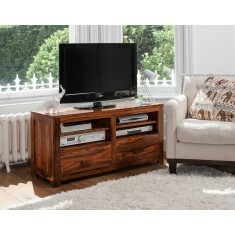 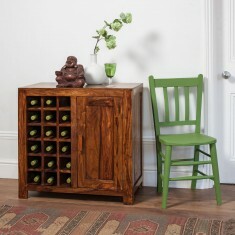 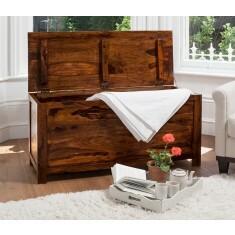 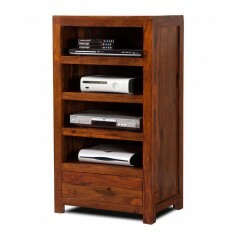 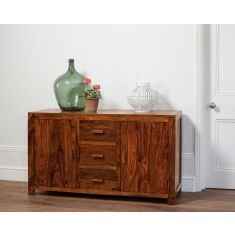 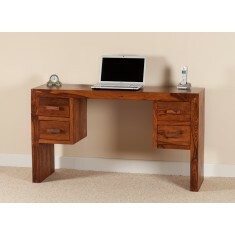 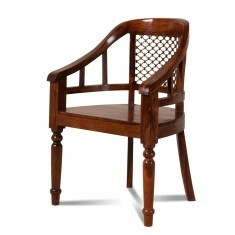 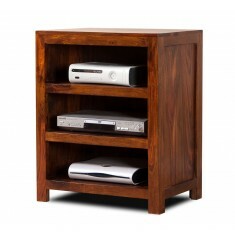 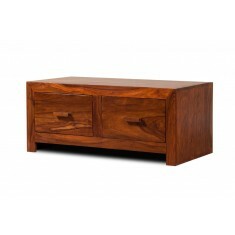 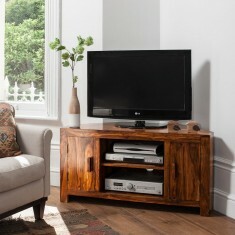 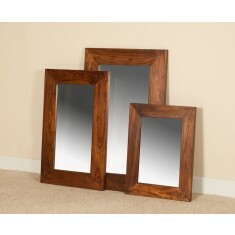 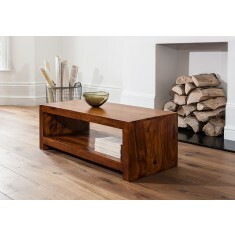 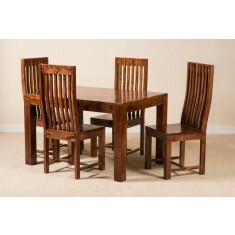 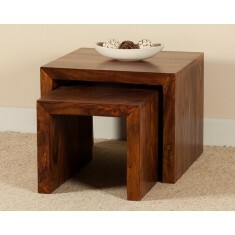 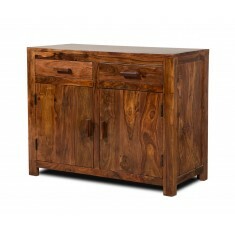 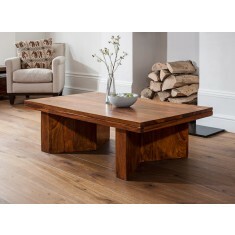 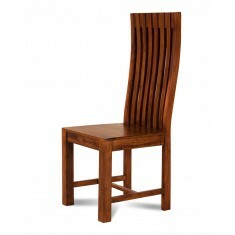 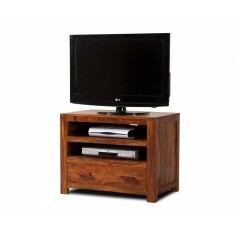 Made entirely from solid Sheesham wood with a rich honey stain, finished with a clear lacquer. 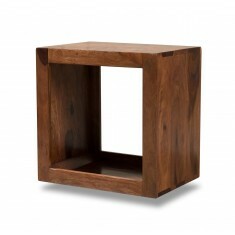 Single, double and triple cube variants also available.